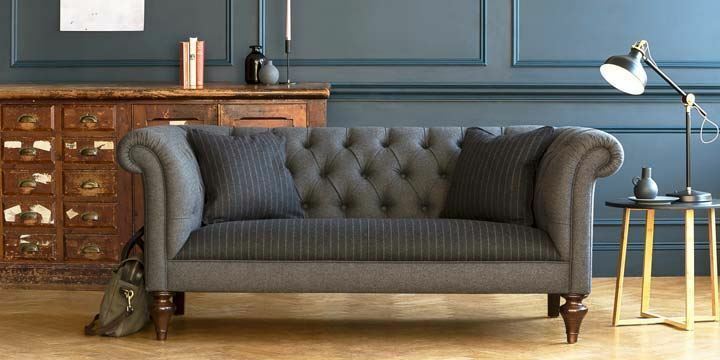 A traditional hard wood construction, glued and dowelled. 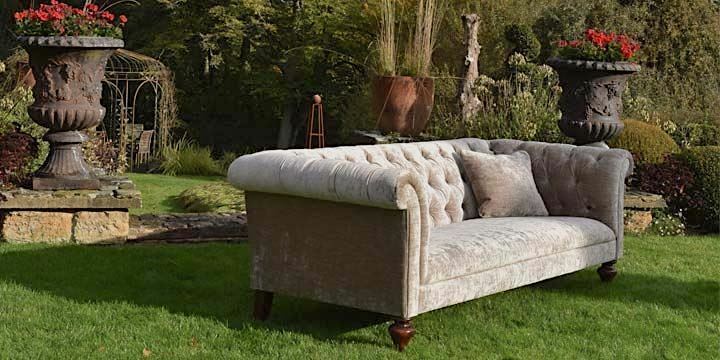 Contemporary style arms roll around from the back in a classic Chesterfield shape. The seat consists of serpentine springs covered with foam. Turned hardwood legs come as standard. Other feet options are available. 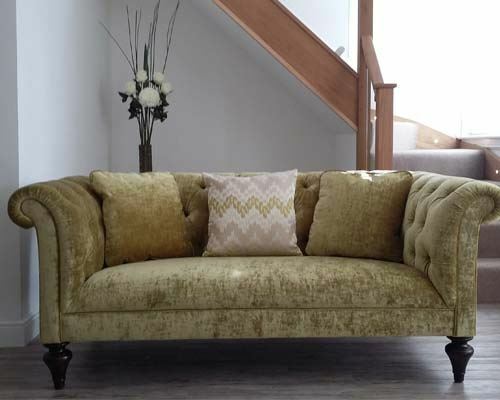 For more information, give us a ring on our free phone number 0808 1783211 or email us at orders@sofasandstuff.com.